Dr. Gibson lives in his home town of Collins, MS. He has been married to his wife, Linda, for more than 43 years. They have two married sons, James and Michael. They also have been blessed with four precious grandchildren. Dr. Gibson received his degree in Veterinary Medicine from Auburn University in 1977. He then returned to his home town and established Covington County Animal Hospital, a mixed animal solo practice. Dr. Gibson practiced for 25 ½ years, before selling his practice on December 31, 2002. Shortly after that Dr. Gibson began working for the United States Department of Agriculture in the Food Safety Inspection Service as a Public Health Veterinarian. Dr. Gibson is now retired, but is busier than ever. Dr. Gibson’s involvement with the Honduras Baptist Dental Mission began in 1991. Over the years, Dr. Gibson has served in many capacities on teams and with Honduras Baptist Dental Mission, Inc. itself. In 1994, he acted as a liaison between HBDM, Inc. and the Mississippi Baptist Convention Board to help establish a partnership between the two organizations. He became a team captain and a member of the board of directors in 2000. Dr. Gibson was elected chairman of the board in 2003 and continues to serve in that capacity. He continues to serve as a Team Captain, having led 20 teams. As chairman of the board, it has always been Dr. Gibson’s desire to see as many people as possible come to know the Lord Jesus Christ as their Savior through the work of HBDM, Inc. He feels that he is so blessed to have been a part of what God has done for and through HBDM, Inc. He has realized one of his dreams in seeing the completion of a complete mission compound, totally designed and built to meet the needs of the many dedicated volunteers and employees that serve our Savior through HBDM, Inc. This compound was made possible through the blessings of God. The construction was all completed with no debt incurred by HBDM, Inc. Another dream and long time desire of Dr. Gibson's has been to see an enhanced effort placed on discipleship. As of January 2018, another missionary family will begin service on the field and their duty will be to disciple new believers. Dr. Gibson has always stated that he was not concerned about HBDM, Inc. being the biggest, but that he wanted it to strive to be the best that it could be. Dr. Bob Ledlow has served as the Associate Pastor of the Mt. Gilead Baptist Church in Dothan, AL for the past 10 years. He and his wife, Nan have 3 children, 10 grandchildren and two great-grandchildren. Bob is a graduate of Samford University, New Orleans Baptist Theological Seminary and International Bible Institute & Seminary in Orlando, FL where he earned his Doctorate of Ministry degree. With over fifty years in the ministry, Dr. Bob has served in Alabama, Florida, Georgia, Tennessee and Louisiana. Dr. Russell Patterson is no stranger to Honduras, the mission, or many of you. Russ has been involved in this mission ever since 1987, starting as each of us does, by serving as a regular team member. He became a team captain in 1988 when he and his wife, Elaine, brought the first North Carolina team to our mission. In 1992, Russell accepted God's call into full time missions and went to Honduras as a "Faith Missionary" to work alongside Earl Elkins, the Field Coordinator. Elaine joined him the following year bringing along their two high school age sons, John and Heath. They worked together with Earl until 1993 when Earl's failing health brought him home to the states. Russell took over as Field Coordinator for Honduras Baptist Dental Mission and worked in coordination with the Mississippi Brotherhood to put teams on the field all over Honduras. He remained in that position for five more years before returning to the states. He is now serving as Associate Pastor of Music at East Baptist Church in Gastonia, NC, and Elaine is retired from teaching high school art. John is a telemetry nurse in Charlotte, NC, and Heath is a civil engineer and Head of Maintenance with the Mississippi Department of Transportation. in Jackson, MS. Heath assisted Russell with drainage and leveling work on the new mission compound in El Plan when it was being constructed. Elaine painted the dining hall and restroom murals in 2010, and painted the outdoor mural behind the Ward house in 2015. 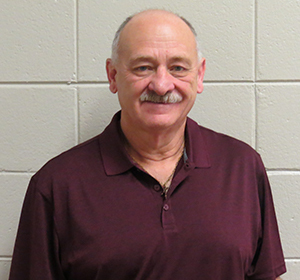 William is a native of Laurel, Ms. a graduate of R. H. Watkins High School, Jones County Junior College and The University of Mississippi School of Pharmacy and has been practicing pharmacy in Laurel 42 years, currently the owner and manager of Wells Pharmacy. He is a devoted family man, married to Irene Hogan Wells of the Matthews community in Jones Co. and they will celebrate their 42nd Anniversary in November 2007. They have 4 sons, William, Jr. a nursing student, Robert "Bobby", a RN, Nathan, school administrator, and Jonathan, pharmacist and now serving as Captain in the US Army Medical Corp, OIC Bryan Jones Medical Center Out patient pharmacy, Fort Polk, La. William and Irene are proud grandparents of soon to be 14 grandchildren. William is a deacon First Baptist Church of Laurel, Ms. having served on the mission committee as well as numerous other positions in the church, including Chairman of the Deacon body. He proudly serves in Men’s Ministry, and enjoys cooking and serving at the prayer breakfasts. He is also a member of the Friday Morning men’s prayer group, and a member of the Laurel Gideon South Camp. He has served the Honduras Baptist Dental Mission faithfully since 1975, having been a board member for many years. He has served as Chairman and treasurer of the board, and has made numerous trips to Honduras beginning in l975, having been a team captain many times over the years. As a result of the Honduras mission, William founded the Good Shepherd Dental Medical Clinic of Laurel, a local Christian clinic providing free dental, medical, and pharmaceuticals to a multi county area. Richard Williford and his wife, Joan, reside in Chattanooga, TN. They are the proud parents of 2 grown children, both of whom have participated in missions to Honduras. Richard graduated from the University of Tennessee College of Pharmacy and is currently practicing retail pharmacy with CVS Pharmacy. He is a long time member of Red Bank Baptist Church where he serves on the mission’s committee. Richard became involved with Honduras Baptist Dental Mission in 1990 when he participated in his first mission to Honduras. He has served as team member, team captain, advisory board member, and since 1999 has served on the board of directors for HBDM, Inc.
Richard also serves on the board of directors for Orphanage Emmanuel in Guaimaca, Honduras. Martin Harvey practices family medicine in his home town of Collins, MS. A graduate of the University of Mississippi in Oxford, the University of Mississippi School of Medicine in Jackson, and the Tuscaloosa Family Practice Residency at the University of Alabama, he returned to Collins in 1998 to enter private practice in family medicine and obstetrics. Employed at Collins Family Practice Clinic since 2000, he is a member and deacon at First Baptist Church in Collins. Martin is married to Lisa Hannah Harvey. They are the parents of two girls, Hannah Elizabeth and Mary Catherine. Martin has been associated with Honduras Baptist Dental Mission since 2001, serving as a physician on Dr. Eddie Gibson’s mission team. He has been on the HBDM board of directors since 2013. Lewe West practiced general internal medicine in Dothan, Alabama for 30 years. He is a 1977 graduate of Vanderbilt Medical School, and completed a three year residency at the University of Alabama in Birmingham in 1980. He has been on 10 medical mission trips to Honduras, often accompanied by either his wife Sandra or his son Jeremy. He is an active member of Mount Gilead Baptist church in Dothan, where he teaches a men's Precept Bible study. His hobbies include grandchildren, travel, horses, reading, and the beach at Panama City. He and his wife have a heart for missions and the spread of the Gospel. They desire the continued growth and ministry of Honduras Baptist Medical Dental mission. Larry Garland resides in Belmont, North Carolina. He has been married to his lovely wife Joy for over 30 years, and they have a daughter Heather and a son-in-law Walter. Joy, Heather and Walter have also been on several mission trips to Honduras. Larry has been on the North Carolina team since 1987. He graduated from the University of Colorado and is an owner-operator of Charlotte Paint Company, Inc, a painting/waterproofing contractor located in Mt. Holly, NC. Larry is an active member of Parkwood Baptist Church in Gastonia, NC, where he serves in many capacities, teaching, ushering, and missions. He is also very active in his community in mentoring boys, and on the board of several charitable organizations and Gaston County organizations. Larry has had the privilege of witnessing wonderful changes in the mission through the years. The building of the mission compound, and the addition of God-fearing directors, teams, team captains, and team members whose main goal is to bring Jesus Christ to the Honduran people. He has also witnessed: the birthing and building up of other organizations such as orphanages; churches taking up the conversion of people-groups like the Chorti (indigenous Mayan people); and the leading of God in our missionaries (the Ward’s and Henderson’s) to proclaim that is -- and always will be -- HIS MISSION and TO HIS GLORY. Gene is a native of Mobile and now resides in Dothan, Alabama where he has served 25 years as the General Manager of the Dothan Country Club. He has been married 35 years to Linda Kinsey Ziebach. They have three grown children, Adam, Angela, and Amanda and four grandchildren, Kinsey, Kayla, Ethan, and Isabella. Gene graduated from the University of Southern Mississippi earning a B.A. degree with a major in Political Science and minor in History. He received a Master of Science degree in Human Resource Management from Troy (Al.) University. Professionally he earned the Certified Club Manager (CCM) designation and Honor Society from the Club Manager Association of America. He completed Leadership Programs through CMAA’s Business Management Institute (BMI) at both Cornell University and the University of Nevada Las Vegas. He is a member of Mount Gilead Baptist Church in Dothan. He serves as a Sunday School Teacher, Head Usher, Mission Team Member, and is active in the Men’s Brotherhood. He also holds credentials from the Alabama State Board of Missions Disaster Relief Program. He is a founding member and officer of Hope Here International Ministries a 501(c)3 organization headquartered in Dothan, Alabama and serves as captain of the organizations mission team to Honduras. He also works actively in HHIM’s sponsorship of the Baptist Hispanic Bible Institute program which offers a diploma program to aspiring pastors and church leaders in Southeast Alabama. Gene first served in Honduras in 2005 as a member of the Ledlow Team from Mt. Gilead. He has now served on 20 teams to Honduras and 3 to Haiti. The HHIM team to Honduras each year serves in El Plan and the surrounding area working with kids through Sports Evangelism, with local churches, and works several communities through Door to Door Evangelism. Jamie was born and raised in a rural community of Texas. She has been a Nurse Practitioner for the past 20 years and she is married to David Caldwell. They have two sons, Justin and Brandon and four grandchildren, Kayden, Kadence, Bryson and Bryn. Jamie Graduated from Texas Tech University with a Bachelor of Science in Nursing and received her Master degree of Science from Hardin Simmon’s University with her Family Nurse Practitioner. She is ANNC accredited, Board Certified and a member of the Texas Nurse Practitioners Association. She and her husband are members of the First Baptist church in Munday, Texas where they serve on numerous committees. She teaches Sunday School with the youth and has served on the missions committee for the past 15 years and has organized local mission outreach programs in her community and surrounding area. She has also served on the Cross Country Emmaus Board and founded the CCEC Chrysalis Community and served on the Board. Jamie began going to Honduras in 1999 with Macky Davis and has been hooked ever since. She has continued to go every year and sometimes more than once. For the past two years she started her own team of Texans. She has also served at a youth camp in Oaxaca Mexico, for the past four years. Her passion is to serve the remote community’s in Honduras who do not have access to health care.